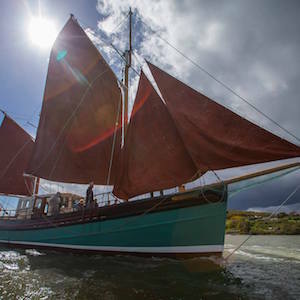 Brian Boru, the Waterford based former herring fishing vessel. 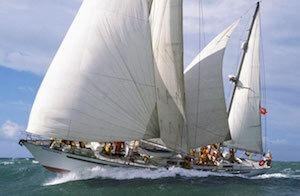 The 70ft wooden boat is now transformed into a sail training vessel. 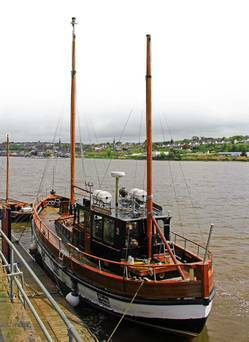 The Joanna Mary, a converted trawler 50ft long was built in 1941 and sails out of New Ross in Wexford. She led the flotilla at the recent Lusitania Centenary Commemoration’s in Cork Harbour. 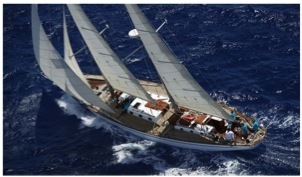 Rhona II a 70ft Ketch, built in 1948 with a crew of twenty one sailors.